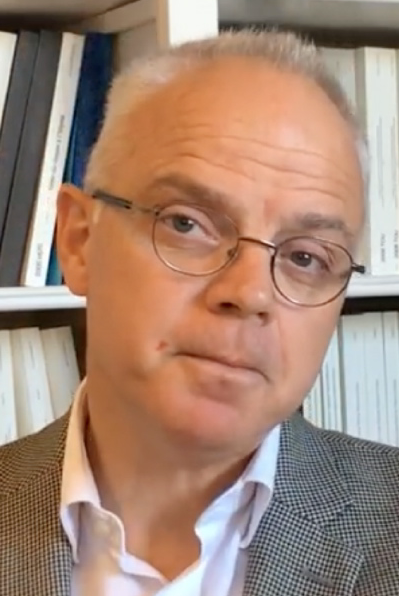 Jean-Sylvestre Bergé is a law professor at the University of Nice – Côte d’Azur (UNS – UCA) and a fellow of the French University Institute (IUF). He is a member of the Research Group in Law, Economics and Business (GREDEG – UMR CNRS n° 7321) and the European University Network « European Area of Freedom, Security and Justice » (GDR CNRS AFSJ, No. 3452). He manages the international and pluridisciplinary research program IFITIS (IUF – 2016-2021). Profile: A University law professor (Phd Panthéon-Sorbonne – ‘agrégation’ private law) for 22 years, senior member of the French University Institute (IUF) since 2016, author of several monographs and numerous articles, senior management positions for research groups (JE, EA and GDR CNRS), graduate schools (Normandy – Nanterre), national and international diplomas (Rouen, Nanterre and Lyon), as University vice-president (Lyon), director of the international relations department, pilot of four international research programmes (ACI (formerly ANR) – Jean Monnet (EU) – GIP Justice – IUF), invitation to various countries as a visiting professor. 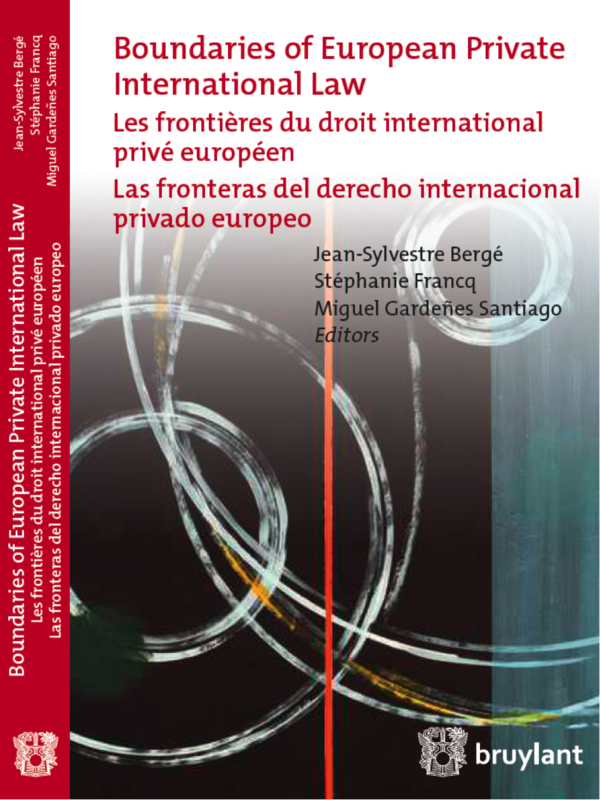 Since the beginning of the career, mobilization of four consecutive research themes (international and European intellectual property law ; interaction between international and European law; Europeanisation of law; contextualized global legal pluralism). Current research: multidisciplinary and comparative approach of complex phenomena of flows. Colchester (University of Essex), Oxford (Institute of European and comparative law), University of São Paulo, Hungary (University de Szeged), Hanoï (National University of Vietnam), Cairo (University of Aïn Chams), Bologna, KU Leuven (Global Law School), Moscow (School of economics), Tokyo (University of Daito Bunka), Vilnius, Buenos Aires (University of San Salvador), Tunis (University of Carthage), Erevan (UFAR), Rio de Janeiro (UERJ), Brasilia (Uniceub), Québec (U. Laval), Israël (IDC Herzliya – Radzyner School of Law), Italy (Ferrare), Louvain-La-Neuve (UCL). 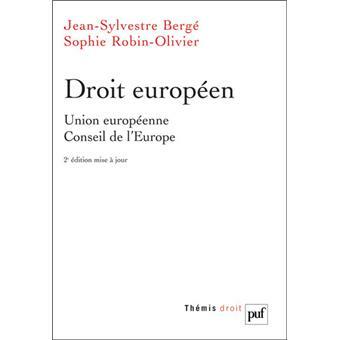 Santi Romano/Jean-Sylvestre Bergé, Les ordres juridiques, Dalloz, coll. Tiré à part, December 2015, 142 pages. 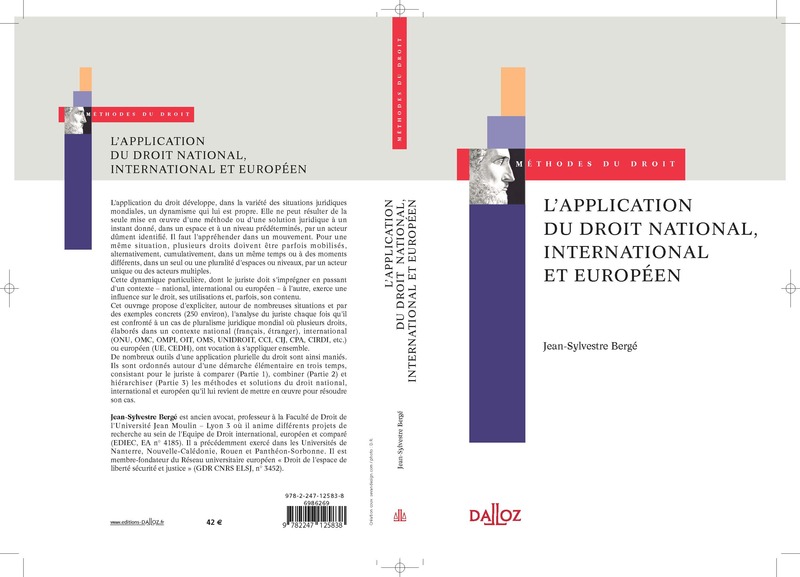 Traité de droit civil – Introduction générale – Tome I – par J. Ghestin, H. Barbier et avec le concours de J.-S. Bergé (Contribution on the internationalization and europeanization of the law), éd. 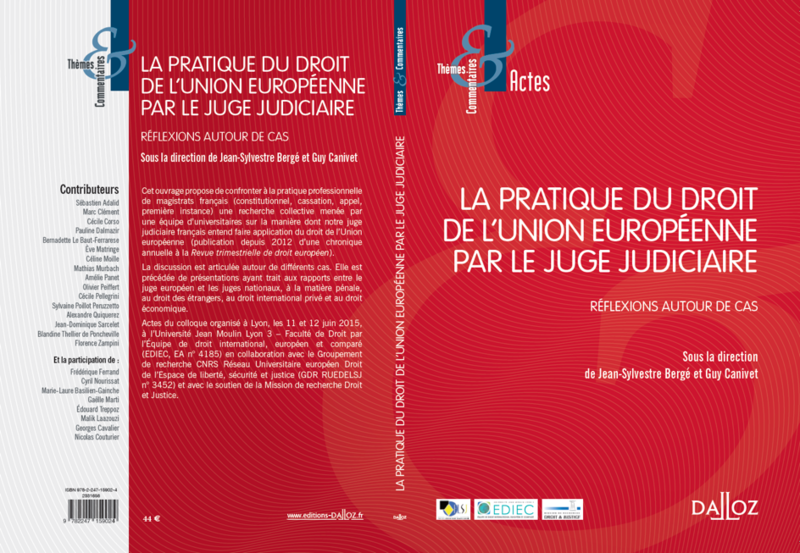 LGDJ, 2018, 960 p.
Report (“Le conflit de lois sur le droit d’auteur à l’ère numérique”, French ministry of culture, 1999). Legal and Sociological Analysis of the French Context considering Foreign Practices Related to Filiation of Children conceived through Surrogacy Abroad (United-Kingdom, Belgium, Israel) – GIP Mission de recherche Droit et Justice (convention n°14.18) – M.-A. 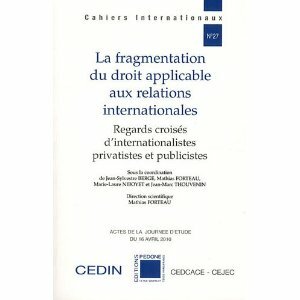 Hermitte, K. Parizer, S. Mathieu, J.-S. Bergé, 275 p.
Published journals (French): Journal du droit international, Europe, Semaine juridique (JCP), Petites Affiches, Revue critique de droit international privé, Gazette du Palais, Revue trimestrielle de droit européen, Legipresse, Propriétés intellectuelles, Legicom, Revue générale de droit médical, Revue Lamy de droit de l’immatériel, Revue internationale de droit économique, Dalloz, Litec, L’Harmattan, Bruylant, Pedone, Economica, Lamy, Panthéon-Assas, Revue de droit pénal et de criminologie, Juris Art, Annuaire de droit européen, Revue Banque, Revue Lamy droit des affaires, mare & martin, The Conversation (France), Riseo, Recueil Dalloz, Revue de droit de l’Union européenne, Revue de droit bancaire et financier, Confluence des droits (UMR DICE), LIREC (INHESJ), Communication Commerce Electronique. 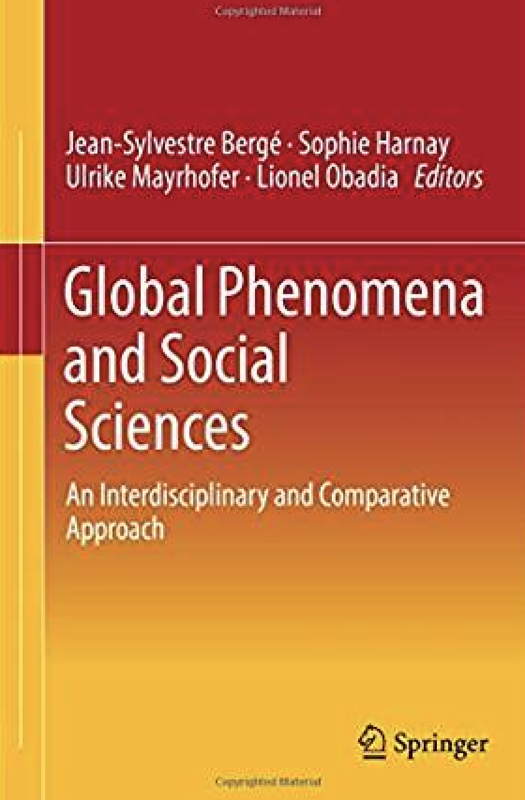 Published journals (foreign or international): Aequitas (Universidad del Salvador – Facultad de Ciencias Juridicas – Buenos Aires), European Journal of Legal Studies, Kluwer Law International, Cambridge University Press, Peter Lang, Anthémis-Némésis, Anuario de Derecho Internacional Privado – Iprolex, Hart, Intersentia, Oxford Legal Studies Research Paper, Spanish Yearbook for International Law, Australian International Law Journal, Cahiers de droit (U. Laval), Revista da Faculdade de Direito – Universidade de São Paulo, Uniform Law Review (Unidroit), European Review of Private Law, Montesquieu Law Review, Cahiers de propriété intellectuelle, Ritsumeikan Law Review, Springer, Bloomsbury, The Conversation (Global), Revista Semestrial de Direito Empresarial (UERJ), Zeitschrift für japanisches Recht/Journal of Japanese Law (MPI Hamburg), European Journal of Comparative Law and Governance (EJCL), Revista Brasileira de Politicas Pública (UNICEUB), Revue La Pensée Ecologique (Unil – Puf), European Inklings (EUi), Thomson Reuters, Yearbook of the New Zealand Association for Comparative Law, Quartier Latin/ Atlântico Pacífico. 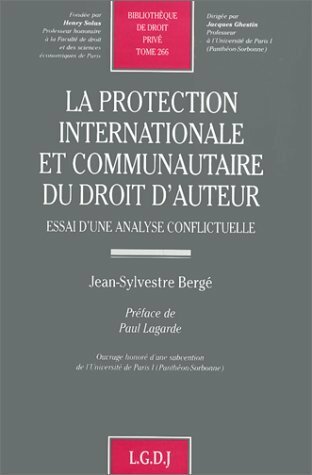 Published: Répertoire Dalloz, Juris-Classeur, Lamy, Dictionnaire permanent, collective works and law journals (see list above). In France: Nice, Nanterre, Paris, Lyon, Strasbourg, Toulouse, Aix-en-Provence, Saint-Etienne, Poitiers, Chambery, Grenoble, Créteil, Lille, Amiens, Bayonne, Nantes, Montpellier, Limoges, Le Havre, Rouen, Evry, Tours, Bordeaux, Rennes, Dijon. 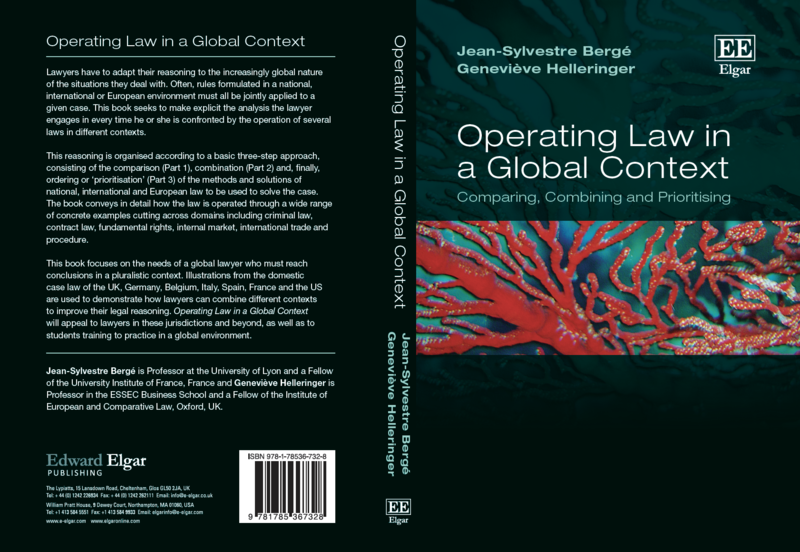 Overseas: Louvain-la-Neuve, New York, Alger, Barcelona, Hanoï, Tunis, Berkeley, Seattle, Taipei, The Hague, Sydney, Melbourne, Porto, Cagliari, Erevan, Florence, Münster, Konstanz, Cairo, Leuven, Madrid, Luxembourg, Buenos Aires, Seville, Rio de Janeiro, São Paulo, Brasilia, Bologne, Monaco, Oslo, Washington DC, Nouméa, Moscow, Pecs, Budapest, Oxford, Riga, Rome, Montreal, Quebec, Tokyo, Osaka, Kyoto, Herzliya, Ferrara, Ottawa. Director of the Normandy Ph.D. law school (ED n° 98), 1998 – 2001. Co-director of the Research centre for professional activity law (CRDAP, EA n° 3231), 1998 – 2001. Founder and director (1998-2000) of the DESS postgraduate degree in Private professional activity law. 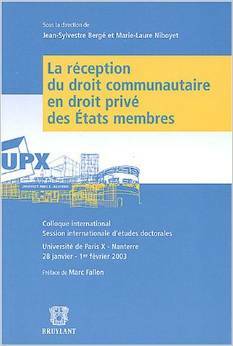 Member of the University Scientific Council (Rouen), 1998 – 2001. Accredited member of the Private law and criminal science specialists commission, 1997 – 2001. Member of the University Research evaluation commission, 2000/2001. 2003: Expert for the French Ministry of culture and communication with Pr H.-J. 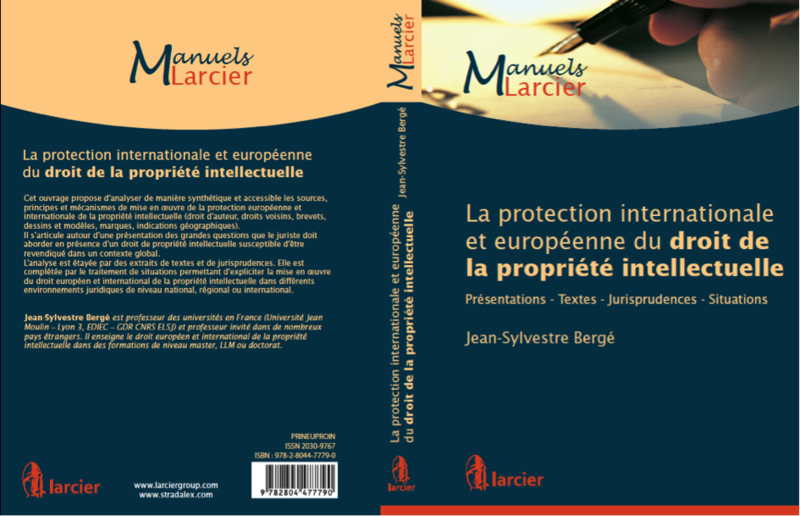 Lucas through the French High Council for literary and artistic property – on the theme of the private international law of literary and artistic property.